Amicable Lodge A. F. & A. M. was founded in 1805 by a group of eighteen brethren “desirous of promoting the good of Masonry.” Wor. 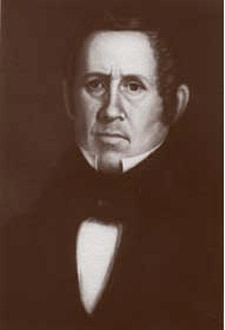 Andrew Adams was elected the first Master of the Lodge and Nathaniel Whitney served as the first Secretary. The charter members of the lodge represented a cross section of the community. The occupations listed for these members include soap maker, grain dealer, proprietor of a tavern and court stenographer. Among the first members of Amicable Lodge were at least two revolutionary war veterans. The Lodge’s Charter was signed by Grand Master Isaiah Thomas, who was the most prominent publisher during the revolution after Franklin and who was credited with developing the concept of an advertising-supported newspaper. During its 205 year history, Amicable Lodge has had many members serve in a variety of prominent Masonic, state, federal, clerical, and community offices. The Honorable M.W. Samuel P.P. Fay served as Worshipful Master of Amicable Lodge in 1808, Deputy Grand Master in 1819, and Grand Master of Masons in Massachusetts in 1820. M.W. Augustus Peabody served as Senior Grand Warden in 1817, and Grand Master from 1843-45. M.W. 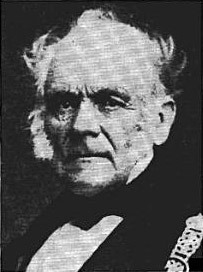 Edward Asa Raymond served as Grand Master from 1849-51, and as Sovereign Grand Commander of the Ancient Accepted Scottish Rite, N.M.J. from 1851 until 1861. M.W. Henry Endicott served as Master of Amicable in 1864-66 and Grand Master in 1887-89. Another distinguished member of Amicable Lodge was Bro. Anson Burlingame. He served as U.S. Ambassador to China from 1861-1870; as well as, in the U.S. House of Representatives from Massachusetts’s 5th district. During the anti-Masonic period of US history, Amicable experienced many of the same hardships as other lodges across the country. However, through an odd set of circumstances, despite not meeting for a period of time, Amicable never surrendered its charter. The relief fund of the lodge was originally offered to the Cambridge selectmen for use in providing assistance to needy Masons, their widows and orphans. However, the political climate of the day led to the lodge’s offer being refused. Instead, the funds were held by various members and when the lodge began regular work again, the funds were returned and form the basis of the relief fund still in use by the lodge. In 1845, the storm of anti-Masonic hysteria having passed, the lodge successfully petitioned for the restoration of its Charter and began work under the leadership of Rev. Bro. Lucias Paige as Master and Charles Tufts as Secretary. Charles Tufts served for a total of fifty-seven years as Secretary of Amicable Lodge. During its early years the Lodge met at a number of different locations. The first was Hovey’s Tavern, which burned in 1844, and was located in Central Square. The Lodge moved through five different locations in the general area of Central Square until 1904. Each location was destroyed by fire, tornado, torn down or removed. From 1818-1838, the Lodge met at Freemason’s Hall on Franklin Street, from 1866-1904 the Lodge met at Masonic Hall, located on Main Street. Finally, in 1911, the current Masonic Temple was dedicated and Amicable found a long-term home. During World War I, more than one fifth of membership served in the military and two members are known to have died in that conflict. Detailed records of participation in World War II were not maintained, but the records suggest a similar level of service. In recent years, Amicable has consistently responded to various requests for relief and charitable contributions. While the Lodge has experienced times of both growth and contraction, it can be fairly said that the Lodge has alwaysbenefited from the dedication of its members. Today, Amicable is a very active Lodge with a membership that is dedicated to pursuing the Noble Art and Royal Science of Freemasonry. In 2009, the Lodge was honored to receive the Grand Master’s Award in recognition of excellence in carrying out its work, continuing a tradition begun by eighteen men in 1805. Download our 1805 ByLaws here!